The new blockchain protocol, Devv, was demoed at CES; backers say it outperforms other distributed ledger technologies and traditional financial networks such as VisaNet. Analysts are skeptical. A start-up firm claims its highly efficient distributed ledger protocol can address all the major problems facing blockchain networks, including being able to scale for global financial business by executing up to eight million transactions per second (TPS). The new blockchain protocol, called Devv, was unveiled and demonstrated at CES in Las Vegas last week. If the claims prove true, Devv would be able to compete with traditional financial networks in terms of scalability, be far less expensive to use and would address fraud, theft and privacy issues. Like many blockchain protocols, Devv is not just a peer-to-peer (P2P) database technology but also a digital currency or cryptocurrency called Devcash. "Customers will be able to create their own solutions on the Devv blockchain for their specific business needs, accessing all of our features – scalability, smart contracts, privacy, fraud/theft/loss protections, etc. – with an inexpensive real-world solution," Devvio boasted in a white paper on its technology. Devvio CEO Tom Anderson claims Devv is not only the fastest transactionally, but is less expensive than, say, the Ethereum blockchain protocol because it uses a feeless consensus mechanism – called Proof of Validation – and employs "sharding" to increase efficiency. Sharding is a way of spreading out the CPU workload on a blockchain network, making it less compute intensive. Similar to Proof of Authority, Devvio's Proof of Validation is a consensus mechanism in which validators collect transactions and randomly take turns proposing new blocks on a chain. Other validators send cryptographically secure messages confirming the block is valid, and the proposing validator adds the block, including the validation messages, once 51% of the validators have verified the block. Anderson, who spent most of his career in the video game industry, said he began looking at blockchain about two years ago and believed there were too many problems associated with existing distributed ledgers to build a real business solution. "There were huge problems in scalability, stability, fraud, theft and loss, privacy and costs," Anderson said. "Hundreds of millions of dollars are stolen in the crypto space in an instant with no recourse and everybody just kind of shrugs and says, 'That's the way it is.' You can't build a real business in that type of environment. So that's when we started designing Proof of Validation." Most of today's working blockchain networks use a Proof of Work consensus mechanism – a method of validating data submitted to a distributed ledger. But, the computational workload required to validate new entries (or blocks) make them inefficient. Bitcoin, for example, can only process three to five transactions per second. Other popular blockchain protocols, such as Ethereum, have greater bandwidth – about 20 transactions per second – but don't come close to PayPal, which does not use blockchain and processes about 193 TPS or VisaNet's 1,700 TPS. However, Holden challenged Anderson's assertion that there are no approaches, other than Devvio’s, to address all of blockchain’s challenges in a single solution. "Hyperledger Fabric certainly offers that capability," Holden said via email. Devvio is not the only company floating the concept of a public, or open, blockchain for business use. 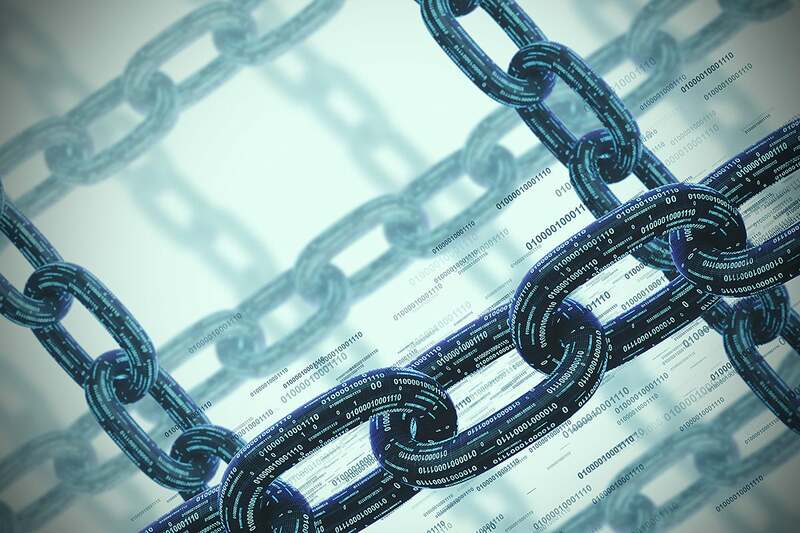 Ernst & Young plans to launch a public blockchain prototype this year that lets companies transact with any number of partners while protecting the privacy of each participant and their data. EY's blockchain is based on the Ethereum open-source blockchain protocol. According to the Linux Foundation's Hyperledger Project, the performance of any distributed ledger technology (DLT) depends on several factors: proximity of the validating nodes, number of validators, encryption method, transaction message size, security level set, the business logic being used and the consensus algorithm deployed. The other concern, Holden said, is that Devvio is a public blockchain. "Cheap it may be, scalable it may be, but virtually all large businesses will demand a greater degree of control over permissions and development than a public chain can offer," Holden said. "Ultimately, I remain wary of any chain or crypto that is seeking funding via an ICO: the value should lie in the chain and its technology, not some tokens that sit astride it." Devvio's Proof of Validation censensus is similar to another called Proof of Authority, where a randomly chosen validator (computer) on the P2P network collects transactions from other users and proposes adding them as a block of records on the chain. (The process is automated so human validators do not need to monitor their computers; they only need to maintain them). The other validators send cryptographically secure messages confirming the block is valid; once 51% of the validators on the network have verified the block, it's permanently added, including the validation messages that accompanied the records. Devvio’s approach emphasizes maintaining only representations of value on the blockchain, with non-essential processing occurring off-chain, a concept also being explored by other blockchain groups. Along with creating the Proof of Validation protocol, Devvio claims to have come up with an efficient a way of spreading the workload through "sharding," which addresses the cost associated with running distributed ledgers. DLT networks can grow exponentially as records of transactions are recorded on every node in the network and more nodes join the P2P network over time. Sharding is a method of partitioning a distributed ledger so subsets of records can be processed by individual nodes instead of requiring all nodes in the network to process each blockchain entry. Sharding enables many more transactions to be processed in parallel while maintaining the native security of a blockchain. "It's very efficient, so transactions on our platform cost about 1/100,000th the cost of transactions on Ethereum; So, what would cost $100,000 on their platform in transactions would cost $1 on ours," Anderson said. In the Devv protocol, each shard is a separate blockchain ledger; the company claims thousands of shards can be added to a global public blockchain over time to ultimately process tens of millions of transactions per second on-chain. For example, each shard is an independent blockchain node on the Devv decentralized ledger that can handle up to 3,000 transactions. Adding another node would double the number of transactions capable of being processed, according to Anderson. Devvio claims it scales efficiently using independent blockchains based on sharding, which spreads the workload in a database through partitioning. As additional throughput is needed, thousands of shards can be added. Because the shards are independent blockchains, a mechanism is needed for transactions that need to move between them. A single network, the T1 network, takes blocks from all of the shards, processes and reorganizes them through Proof of Validation, and outputs its own blockchain. The T1's blocks in turn are used to handle the guaranteed settlement of transactions across shards. Each shard (which is also a crypto wallet) becomes an input on a larger network, which Devvio calls the T1 network; individual shards can communicate to others via a separate transactional network, called the T2, Anderson said. "Every wallet is assigned one and only one shard, so any transactions coming out of your wallet are handled by your shard; then all the blocks from all the shards become inputs to one single shard that handles all the cross-shard transactions," Anderson said. The Devv protocol, Anderson said, also addresses conerns about fraud and theft, concerns that were in the news after the Ethereum Classic (ETC) blockchain was gamed through a "51% attack." That's where a bad actor gains control of the majority of CPUs in a cryptocurrency mining pool. Such attacks are limited to smaller blockchains with fewer nodes that are more suseptable to a single person seizing control based on a Proof of Work (PoW) consensus mechanism. Large PoW-based blockchains are harder to wrest control of because one entity would need to take control of astronomical amounts of CPU cycles, which would make it economially unfeasable. In other words, the reward in cryptocurrency would not justify the expense. "The Ethereum Classic incident serves as a reminder that it's not just math that's protecting these networks, but economics – the more costly it is to attack a network, the less likely it is to happen," said Martha Bennett, a principal analyst for Forrester Research. Bennett and other research analysts are skeptical of Devvio's claims of being able to process eight million transactions per second, noting that "it's not possible to say anything meaningful about Devvio until they have an a functioning network running at scale." "I'd also like to see some independent technical and mathematical reviews. The whitepaper and greenpaper contain lots of assumptions but not enough actual technical detail," Bennett said. "The benchmark results are pretty meaningless as no detail is provided about how they tested. Also, [transactions per second] isn't a terribly meaningful metric for a blockchain – what about transaction finality?" The question also remains: Why would you need eight million transactions per second. Scalability is a universal problem that blockchain standards groups are working to solve through several methods, including newer consensus mechanisms, sharding, and by moving the lion's share of processing off chain – something known as Layer 2 protocols, according to Avivah Litan, a Gartner vice president and distinguished analyst. "There's a lot of work happening in terms of off-chain protocols," Litan said. "It's a little like the ATM networks avoiding having to go through all the central banks. At the end of the day they settle up at the central bank level..., although there's no central bank in blockchain and they don't settle up nightly." PoW algorithms force computers to expend CPU power to solve complex cryptographic-based equations before they're authorized to add data to a blockchain-based cryptocurrency; those computer nodes that complete the equations the fastest are rewarded with digital coins, such as bitcoin. The process of earning cryptocurrency through PoW is known as "mining," as in mining bitcoin. The problem: the PoW process chews up a lot of electricity, both from running processors 24/7 and the need for cooling server farms dedicated to mining operations. Those mining operations are siphoning off so much electricity that cities and even countries have begun clamping down on mining operations. PoW protocols can also be extremely slow due to the lengthy process involved in solving the mathematical puzzles; so approving a new entry on a distributed ledger or cryptocurrency network such as bitcoin can take 10 or more minutes. In contrast, one of the newer protocols being experimented with is a Proof-of-Stake (PoS) consensus algorithm, which can complete new blockchain entries in seconds or less. "Proof-of-Stake algorithms definitely have the potential to overtake Proof of Work," said Vipul Goyal, an associate professor in the Computer Science Department at Carnegie Mellon University (CMU). "However, there are still some significant research challenges that need to be overcome before that happens." For example, last year Ethereum introduced a PoS mechanism on a testnet called "Casper" (as in Casper the friendly ghost). The PoS consensus protocol creates "bonded validators," or users who must place a security deposit down before being allowed to serve as part of the blockchain consensus or voting community. As long as bonded validators act honestly on the blockchain, they can remain in the consensus community; if they attempt to cheat the system, they lose their stake (their money). Ethereum's Casper PoS system would enable a consensus mechanism to process new transactions in about four seconds. While PoW algorithms are relatively simple to employ, PoS protocols face a number of subtle challenges, the most difficult of which is what is known as "posterior corruptions," according to Goyal. Those corruptions could undermine the authenticity of a blockchain.